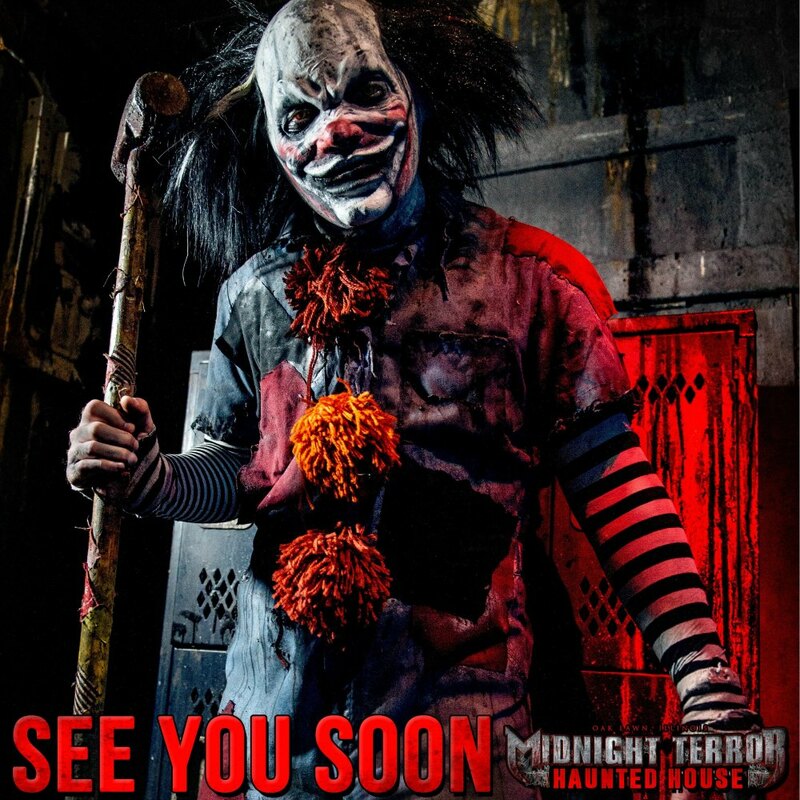 Midnight Terror is a Halloween haunted attraction in Oak Lawn (Chicago), Illinois. 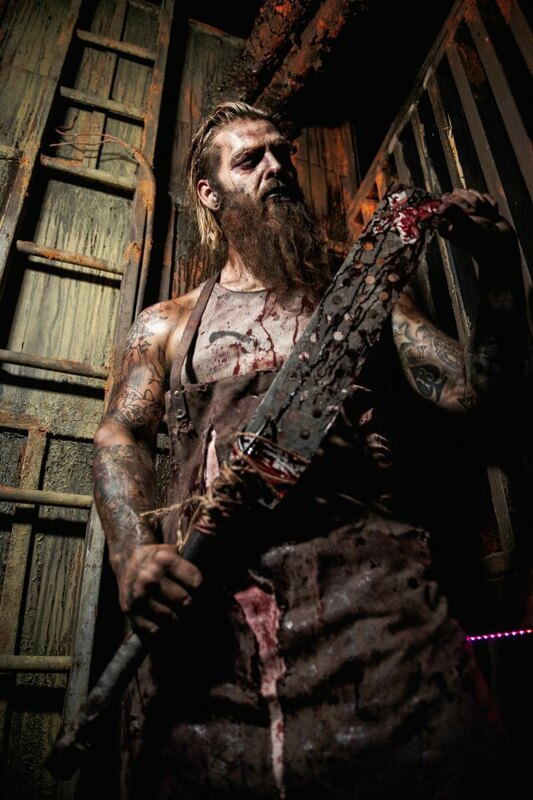 We recently had a chance to talk shop with co-owner Justin Cerniuk to learn more about this incredible haunt’s history, what they have in store for thrill-seekers in Chicagoland, and their plans for the future of Midnight Terror. 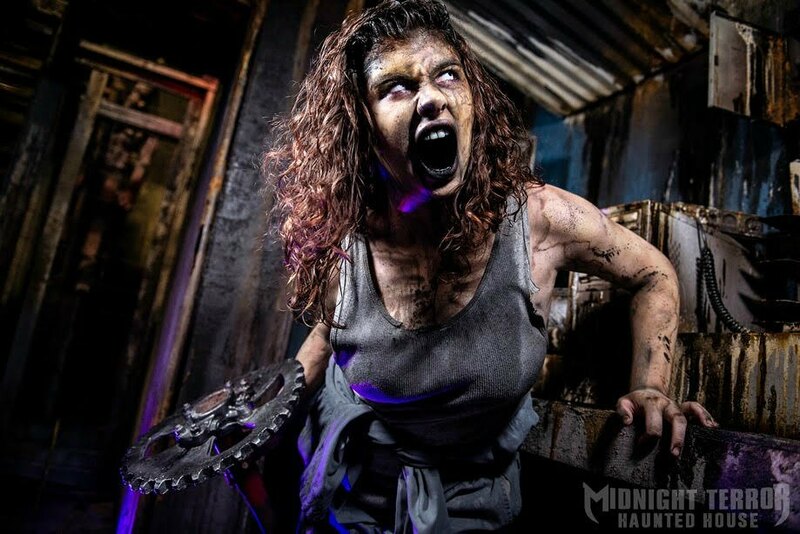 The Scare Factor’s review team, Team Zombillies, had a stopped by to visit Midnight Terror in person last year and check out the full experience. 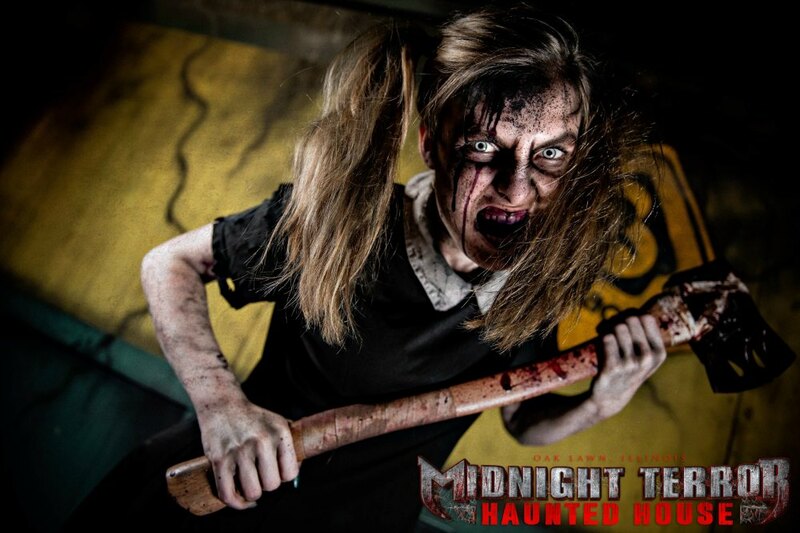 To learn more about why Midnight Terror is on the top of our Fan-Voted “Must-See” Haunts List, click here to read their full review. TSF: What made you decide to become a haunted house owner? JC: When I was a child, my uncle Bob would take me to see all the home haunts in the area. Seeing the elaborate sets people had in their yards inspired me to start building my own props with my uncle for our home. At the age of 10, Midnight Terror came to life in my driveway. TSF: Midnight Terror has been “pro” for a few years now, right? What inspired you to make the big switch? JC: This will be Midnight Terror’s 5th year as a professional haunted house, and we are currently in our 3rd year in our 2nd professional location. Before the big switch, while we were a home haunt, our proceeds were donated to Autism Society of Illinois. Our crowds were too vast for a residential area. With over 5,000 customers in our driveway, we were compelled to transition into the world of professional haunting. 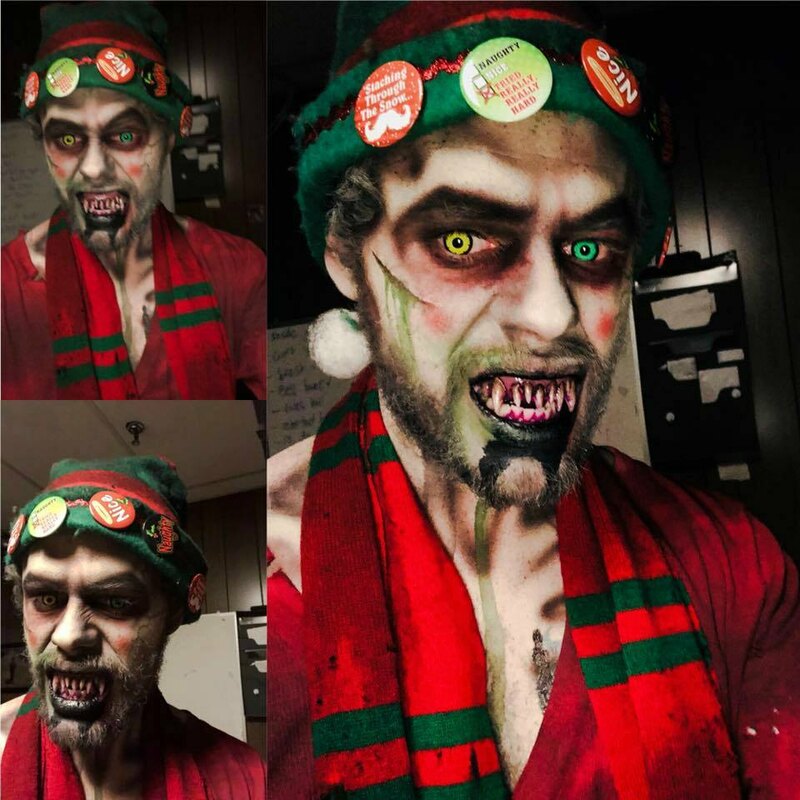 TSF: Do you have any advice for home haunters that are thinking about going pro? JC: Don’t jump the gun; wait for the perfect opportunity to pull the trigger. The business aspect of it is something that often gets overlooked when making the switch to becoming a professional haunt. People tend not to realize how many variables are truly involved. For example, initial capital, marketing, competition, local & state safety regulations are all very consuming, yet vital in order to have a great show during the Halloween season. TSF: Are your actors paid or volunteer? How many do you have in the haunt, on an average night? JC: We have about 120 actors and staff, and all positions are paid. TSF: We know that Midnight Terror is mainly “actor-driven.” Why do you rely on them so much instead of just adding a bunch of big-and-fancy animatronics? JC: Animatronics can be great, but they are mainly just aesthetically pleasing, and a building with a bunch of animatronics is akin to a museum. People scare people. I’ve personally never seen an animatronic chase someone with a chainsaw, or have banter with a chatty customer. An actor can get inside a visitor’s head and feed off their reactions. That’s not to say there are no animatronics in our haunt. We have our own that we make that serve as a tool that our actors can use to their advantage. TSF: Your actors were pretty intense when we came through and reviewed. How do you keep them going at 100% all night long? JC: We really hone in on the idea that our haunt is a family. Everyone here shares the same passion for the industry. Some of our staff has been with us since the driveway days. We don’t run like a rigid corporation; we let our actors have creative freedom. We share our vision of each room, but we let our actors run with the ideas and make them their own. Our stage and actor managers go through the house frequently and make sure all the actors are having a good time. I also get into costume and act in the queue line, and I will act in each room for at least 1 group every night in the season to help hype up our actors. Also, 90% of our staff is addicted to Red Bull. TSF: The pre-show bus ride sounds pretty cool. Can you tell us more about that? JC: With the large crowds we get, we are unable to accomodate all the cars in our parking lot, so we have an interactive shuttle bus that takes customers from the parking garage to our front door. Each bus ride is around 8 minutes long, and has 1-2 actors roaming throughout the bus. The driver takes different routes every time based on the riders reactions. Every bus ride is its own unique and fun experience. TSF: Which changes for Midnight Terror’s 2018 season are you most excited about? JC: Even for returning customers, the show will be a completely new experience since we revamped and restructured the entire house to include all new scares. We decided against putting together off-season shows during 2018 in order to put all of our focus into improving our show for October. 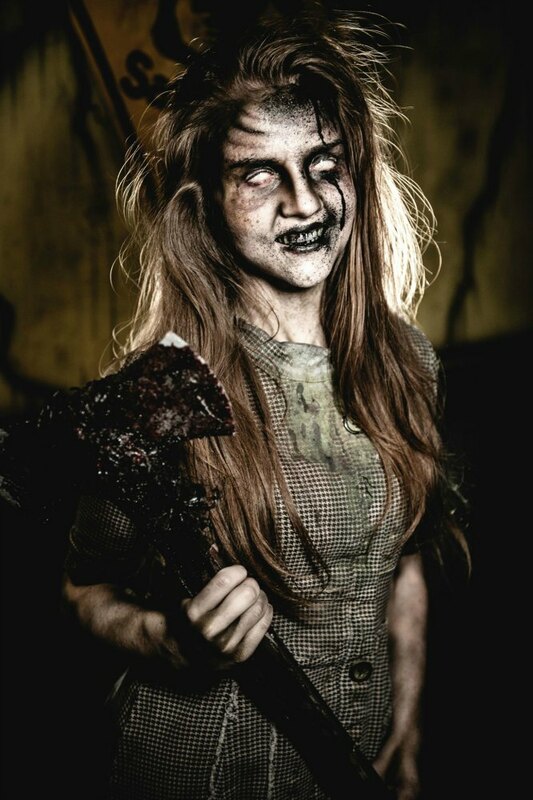 TSF: What advice do you have for people that will be coming to Midnight Terror for the first time this year? JC: Bring an extra pair of underwear and running shoes! You can also check our website before your visit for discounts and special promotions. TSF: Can you tell us what your plans are for Midnight Terror’s future? JC: As we progress, and make our show bigger and better, we plan to remain humble and passionate at our core so we can keep having fun in the haunt industry. What started out as a hobby has evolved into a lifestyle for my friends and I. Without their incredible ideas and support, Midnight Terror would not be where it is today. We intend to make the Chicagoland area Experience Fear for years to come. Want cool stuff like this sent to your inbox?Not subscribed to our “Haunt Advisor” email list yet?